Vision RCL runs a wide range of swimming lessons for all abilities for swimmers aged 3yrs+ across 4 swimming pools, Fullwell Cross Leisure Centre, Ilford County High School, Loxford Leisure Centre and Mayfield Leisure Centre. Lessons run all year round and are available 7 days a week. Swim Vision Terms & Conditions can be viewed here. Information on the different classes offered can be found below. Waiting lists are in place for the majority of classes. 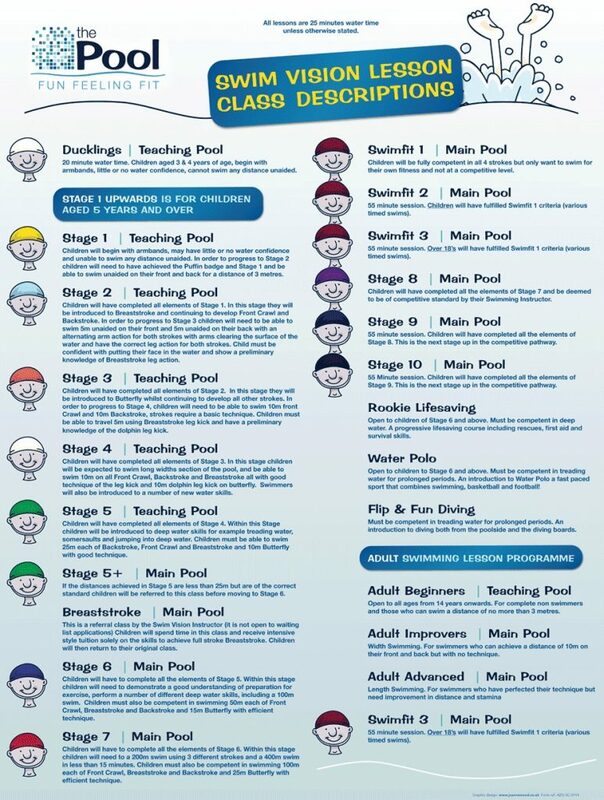 Adult lessons are run at all pools, in addition Women Only lessons are held at Mayfield and Loxford Leisure Centres. Crash courses for adults are also available at Fullwell Cross Leisure Centre during school holidays. If you are already enrolled in our Swim Vision programme, you can monitor progress, move class and make payments through our Swim Vision Home Portal.